VietNamNet Bridge – The ships of the Vietnam Shipping Lines Corporation (Vinalines) that have anchored abroad for a long time are expected to be sold out in June to cover debts and pay the salaries for the crews. One of the ships anchoring overseas of Vinashinlines. The sale of seven ships worth millions of US dollars that have anchored overseas for a long time of the Vinashinlines Ocean Shipping Company (a subsidiary of Vinalines) has been adopted. Vinalines leaders said on March 19 that the corporation had completed negotiations with related sides. “The creditors have agreed to share the difficulties, losses with and remove the arrest commands from our ships. As for the buyer, we have found some clients,” a Vinalines official told the online newswire VNexpress. The official confirmed that the viewpoint of Vinalines and the Government is not bartering away these ships. “It’s hard to sell them at high prices but they will not be sold lower than the price offered by the evaluation council,” the Vinalines official said. It is expected that from now until the middle of the year, the sale of these ships will be completed. Earlier, a source from the Ministry of Transport said the sale of the ships must be completed before June, under the direction of the Government. In regard to the support for the sailors who are keeping these ships, the Vinalines official said that the corporation does not abandon these crews. Most recently, in mid-February, Vinalines sent VND381 million ($19,000) for the crews of the ships that will be sold. In particular, the crew of the New Phoenix received VND91 million ($4,500), the Sea Eagle VND51 million ($2,500), the Diamond Way VND59 million ($3,000), the New Horizin VND104 million ($5,000). According to the official, the food support for crew members abroad is $6/person/day. For the wages of the sailors, some companies could not pay for a long time because they did not have revenue. Under the approved restructuring scheme of Vinalines, Vinashinlines will be allowed to go bankrupt this year. “If the company is bankrupt, completes the sale of ships, the interests of the crews and workers is the top priority,” the official confirmed. According to him, the wage of sailors is paid based on their titles, about $600 a month for sailors, about $1,000 for the mate and about $2000-$3000 for the captain, depending on the route. The captains of some tankers receive up to $4,000-$5,000 a month. There are seven ships of Vinashinlines, with nearly 100 sailors stuck overseas. Many times, the sailors have asked for help from Vietnam because of their inadequate living conditions and their wage debts for months (some sailors have not been paid for 18 months). Vinashinlines said that it can guarantee the living expenses of the crews but the wage debt can be paid only when it sells the ships. 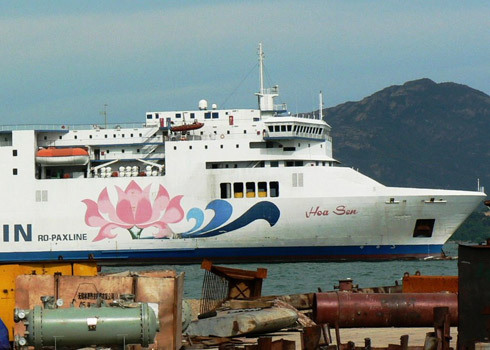 According to the Vietnam Maritime Administration, at the end of January 2013, the fleet of Vinashinlines had seven ship abandoned overseas, with about 100 sailors. The total tonnage of the ships is more than 210,000 tons, accounting for three percent of the total national fleet capacity. The “scandalous” ship was bought by Vinashin in 2007 for Eur60 million with an initial target of exploring the North-South sea route. However, after about 40 loss-incurring trips, Vinashin stopped using this ship. When Vinashinlines was handed over to Vinalines, Lotus was also transferred to Vinalines. However, this change does not help the ship change its “fate.” It was leased to a foreign partner with the daily charge of $16,500 for a period of time. 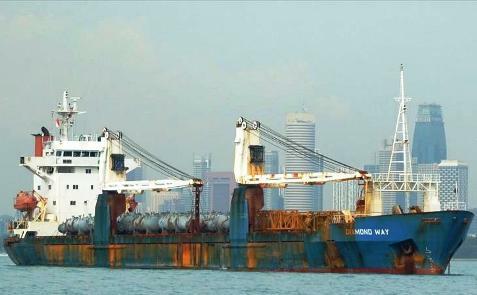 After a lot of troubles, the partner ended the contract and the ship, which was built in 2001, was abandoned in China. The nine crew members on the ship are living in poor conditions and they have not been paid for months. Being built in 1981 in Japan, the Sea Eagle is the Vinashinlines’ ship that has been abandoned for the longest time overseas. The ship with a tonnage of more than 65,000 tons is being looked over by nine sailors in the absence of fuel and food, “Sometimes sailors had to swim to shore to get wild vegetables in the surprise and pity of the local people,” a crew member said. He also said that the maintenance and repair cost of the ship has exceeded the value of the ship. With a Panama flag, the ship of Vinashinlines was built in 1988 in Japan, with a tonnage of 13,266 tons. Diamond Way has anchored in the port of Jabel Ali in the United Arab Emirates from October 2012. Earlier, the vessel was detained by a supplier at an Indian port for owing oil money. The 19 sailors on the ship have relatively better living conditions than their colleagues in other abandoned ships thanks to the intervention and assistance of the Vietnamese diplomatic agency in the UAE. Before that, the crew of the Diamond Way launched the wave of asking help of Vinashinlines sailors, who said they were abandoned in inadequate conditions abroad. New Horizon also has Panama citizenship and it was also built in Japan in 1986. This is a cargo vessel of 9606 DWT. In July 2012, the vessel departed from Quang Ninh to Donghae (South Korea) – Vladivostock (Russia) – Akita (Japan) – Manila (Philippines) and Karachi (Pakistan). It arrived in Karachi in November 2012 and was arrested because Vinashinlines did not pay debt to partners as well as disputes related to goods. There are 20 sailors trapped here. New Phonenix has a tonnage of 9606 DWT, with Panama nationality. The ship has been in Dalian, China from September 2012. The 15 crew members of the ship were struggling in shortages of everything. “There was time that we had to dive into the sea to seek oysters clinging to the ship to cook porridge to maintain life,” a crew member said. However, according to information from the Vinashinlines, the ship will be sold in the next few days. 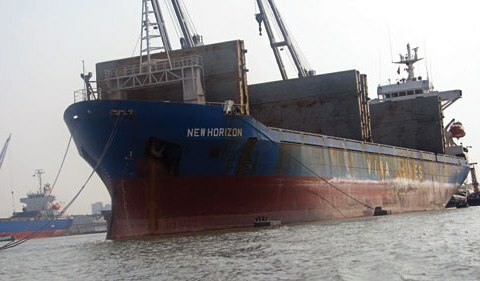 The ship was detained at the port of Kolkata, India from January 2012 and 22 crew members are stranded here. 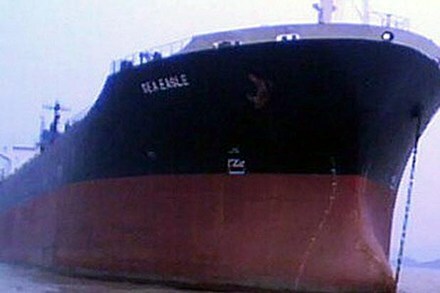 The Indian court seized Cai Lan 4 because Vinashinlines owed a Singaporean oil supplier. The crew said it had repeatedly contacted with Vinashinlines, requesting Vinashinlines to address the case but they have not received support. 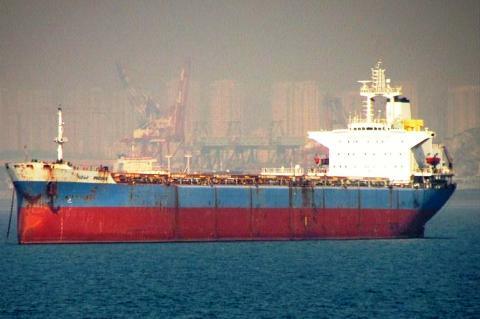 Cai Lan 4 has a tonnage of 8732 DWT and is the only of the seven ships built in Vietnam in 2006. This is a cargo ship, built in 1980 in Japan with a tonnage of 31,503 DWT. It is also the ship with the least information among the seven abandoned ships of Vinashinlines. However, an official of Vinalines said the ship can still operate “a little” in India, not completely “lying” as the remaining six ships.